Bridgehampton, NY – August 23, 2018 – Show jumping’s biggest stars, including Olympic, World and Pan American Games medalists, have confirmed their entries for the 2018 Hampton Classic Horse Show, one of the most spectacular equestrian events in the nation. 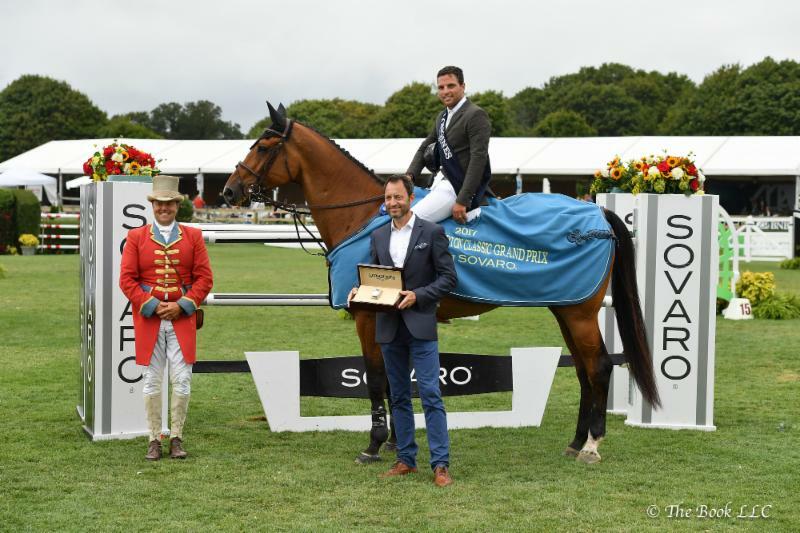 The 43rd annual event returns to Bridgehampton, NY, August 26-September 2, where the sport’s top athletes will go head-to-head for prestigious titles and $750,000 in prize money. The Hampton Classic showcases more than 1,600 horses competing in 200 hunter, jumper and equitation classes in six show rings. The schedule features competition for horses and riders of all ages and abilities, ranging from children’s leadline classes all the way up to the grand prix and also hosts classes for riders with disabilities. This year’s Hampton Classic is hosting five FEI-recognized classes on five consecutive days. Competitors who successfully complete Friday’s $75,000 Douglas Elliman Grand Prix Qualifier CSI4* will qualify for the culminating $300,000 Hampton Classic Grand Prix CSI4* Presented by Douglas Elliman on Sunday, September 2, after which the winner of the $30,000 LONGINES Rider Challenge will also be presented. Additional exciting FEI classes include Wednesday’s $10,000 Palm Beach Masters Open Jumper, Thursday’s $40,000 SOVARO Speed Stake, and Saturday’s $70,000 LONGINES Cup CSI4*. A lineup of FEI competitors includes riders from 10 nations: the USA, Ireland, Colombia, Canada, Israel, Brazil, Great Britain, Chile, Mexico and Argentina. Topping the world-class field are Olympic double Gold medalists and four-time Olympic veterans McLain Ward and Beezie Madden, who were both also part of the Silver medal winning U.S. Team at the 2016 Rio Olympics. Ward, who has won the Hampton Classic Grand Prix a record six times and placed third last year, won the individual Gold medal at the 2015 Pan American Games. He was the 2017 FEI World Cup™ Champion and has been named to the U.S. Team for the 2018 FEI World Equestrian Games™ (WEG) being held in North Carolina in September. Madden, who won the Hampton Classic Grand Prix in 1993, has been named the USEF Equestrian of the Year four times. She won an individual Bronze medal at the 2008 Olympic Games and individual Silver at the 2006 FEI World Equestrian Games™. She was the FEI World Cup™ Champion in 2013 and claimed her second title at the 2018 Longines FEI World Cup Final in Paris, France. Madden has also been named to the U.S. squad for the 2018 WEG. 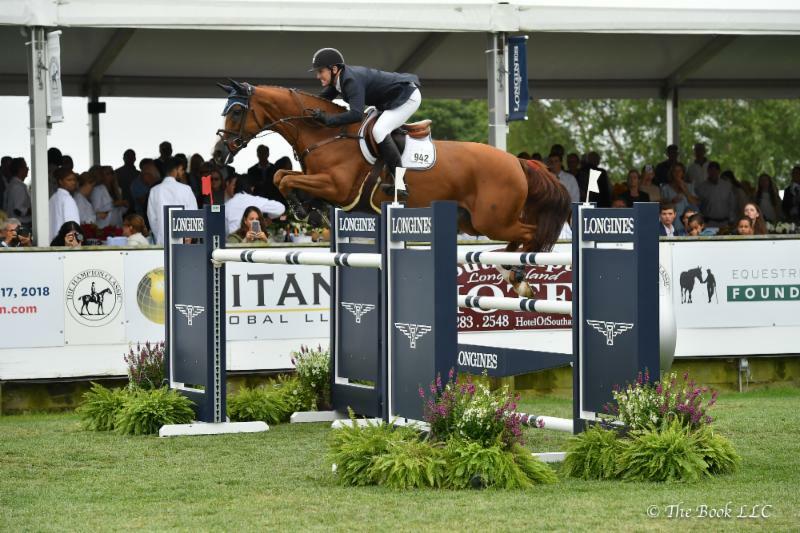 Two other riders named to the U.S. squad – Devin Ryan and Adrienne Sternlicht – will also be returning to the Hampton Classic. Ryan placed second in this year’s Longines FEI World Cup Final in Paris. 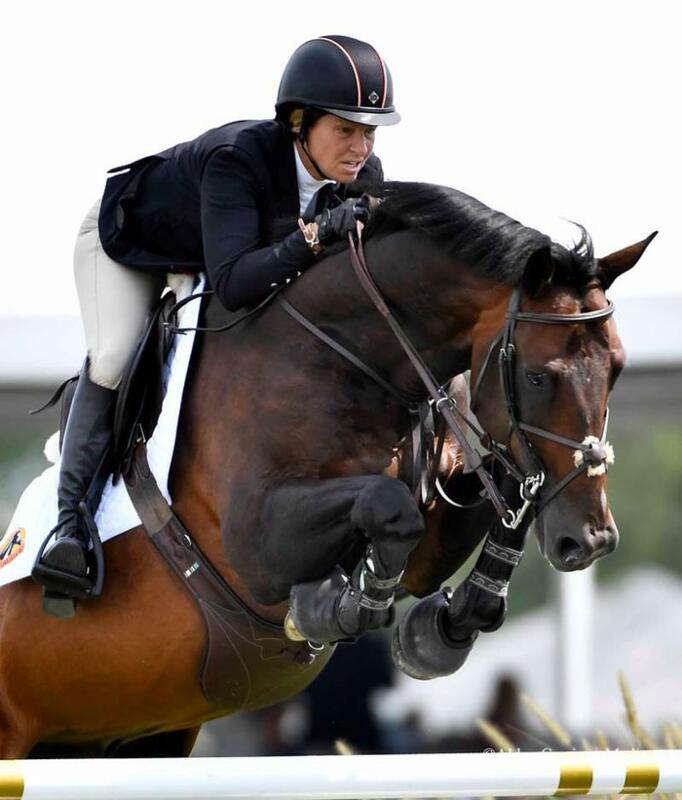 Georgina Bloomberg, Ward’s teammate on the U.S.’s 2015 Bronze-medal Pan American Games team, has also won many competitions at the Hampton Classic. A long-time animal rights advocate, Bloomberg is also supporting the Classic’s 8th annual Animal Adoption Day on Monday, August 27. 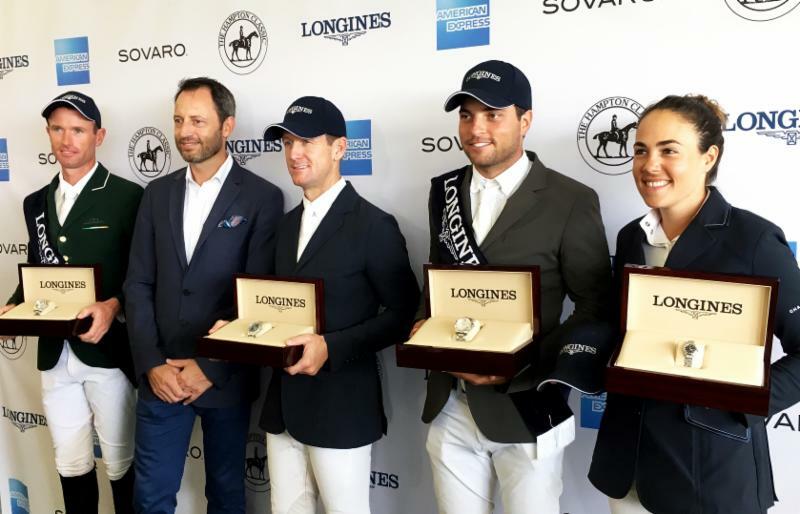 Also entered is Olympic Gold medalist Peter Wylde, Olympic team Silver medalists Peter Leone, Lucy Davis and Leslie Howard, Olympic veteran Mario Deslauriers, who won the 1984 FEI World Cup Jumping Final at just 19 years old; Callan Solem, Quentin Judge, and Peter Lutz. Two-time Olympic veteran Daniel Bluman of Israel (formerly of Colombia) dominated the Classic last year. He will be joined by his cousin Ilan Bluman. Hans Van de Bovenkamp...In the News!